Charleston, WV… The 2018 Home. Hope. Heroes. event was held on Tuesday, June 26, 2018 at the Governor’s Mansion in Charleston. The event was hosted by KVC West Virginia, a nonprofit child welfare and behavioral healthcare leader. 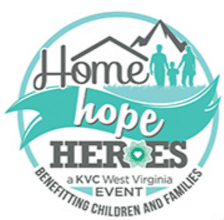 This year’s annual “Home Hope Heroes” was a celebration of West Virginia foster parents – whether they work with KVC, with private agencies, or directly with the State. These everyday heroes face incredible challenges in helping children who, through no fault of their own, to overcome tremendous trauma and a variety of other negative circumstances. As West Virginia continues to grapple with the opioid crisis, these selfless individuals stand on the front lines to welcome young people into their homes and save lives. KVC WV is appreciative of its close relationship with the State of West Virginia and the many other agencies providing services to families willing to serve young people and support permanency. 2018 speakers included Brent Lemon, President of KVC West Virginia, and Jim Strawn. They discussed the state of foster care and foster parenting in WV. KVC West Virginia provides in-home behavioral healthcare, foster family support services and adoption. In 2015, the organization was selected to help children through the state’s “Safe at Home West Virginia” program, an initiative of the West Virginia Department of Health and Human Resources Bureau for Children and Families. In 2017, KVC absorbed the former WV Tech campus and is currently working to establish Riverbend: Center Supporting Higher Education- a first-of-its-kind campus community tailored specifically to the needs of youth emerging from foster care. The campus will offer accredited degree and certificate programs through KVC-partner Bridge Valley Community and Technical College. Learn more at www.kvcwv.org. Riverbend is expecting their first cohort of students this Fall.